We’re adding some new The Black Series [Phase III] 6-Inch figures to our Visual Guides, starting with Resistance Tech Rose (55). Click below to have a look. You can also check out our full review of this figure right here. The 6″ version of Resistance Tech Rose turned out better than expected, but she still doesn’t look better than the 5POA version (sigh). Find out why you shouldn’t overlook her however in our Research Droids Reviews today! Be sure to leave your thoughts in our comments section, vote in the poll or even comment about it on our Facebook page. Click the banner below for the direct link to the review! As always, you can also send your review requests via email if you’d like to see something that we didn’t cover yet. ← USA Today Claims The Last Jedi Could See A $200M Opening! Could Rose Be One Of The Saving Graces In The Last Jedi? 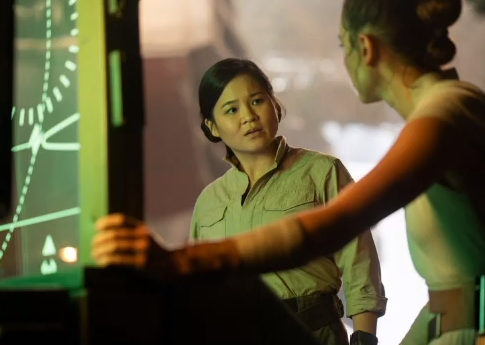 From the day I saw the Resistance Gunner Paige and Resistance Tech Rose on store shelves September 1st, I stated immediately how intrigued I was by their characters and that I hoped right from the start that their characters would become a meaningful addition to The Last Jedi. The Last Jedi MUST DELIVER! This is evidenced by how I feel about The Force Awakens. In my opinion, Star Wars needs a jolt of Force lightning in the storytelling and I hope it gets rejuvenated into hyperdrive with Episode VIII. Just recently, director Rian Johnson hosted a Twitter Q&A. One of the questions asked focused on what character he is most interested in and he made it clear that Rose is a character he adores. I can’t tell you how excited I am by Rian’s response. Click through to check it out. Do you think Rian is right? Are we in store for something good with Rose? Lord knows she’s got to be better than Rey!